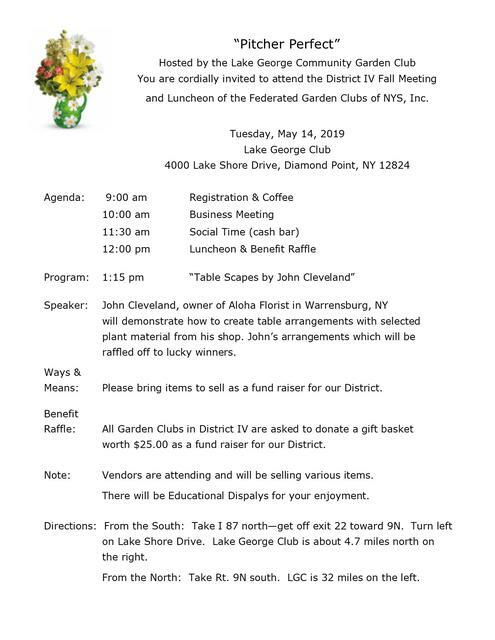 The club achieved federated status in June 1966, after Florence Traver decided the Lake George Community needed an organization to promote gardening & community service. Over the years, the club has grown and now has a total of 65 active, 1 associate and 9 honorary members from many communities - Glens Falls, Queensbury, Lake George, Warrensburg, and as far away as Elizabethtown, Minerva, Mechanicville, and more. The LGCGC Planning Committee promises everyone a year filled with new,exciting programs and tours. Visit our calendar to check out the monthly meetings and program details. 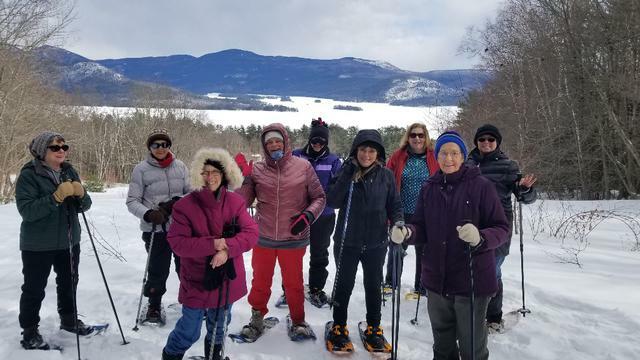 What a beautiful, fun day for snowshoeing! A new winter activity enjoyed by 9 adventuresome members.